Roulette is actually French for Little Wheel. That indeed reflects some of its history! Imagine trying this incredible table game in its most authentic ways? Say yes to French Roulette then! This terrific variation is brought to your screen by the pioneer of gaming, NetEnt. And if you are looking for some gaming escapade then this one might be the best resort. Be sure to spare a few tries for French Roulette. Who knows, your lucky number might be the winner! Good question! There is nothing difficult about French Roulette though! The rules have not changed much. If you are going to play French Roulette at Wicked Jackpots, you might need to log onto your account or register for one. Once you are in the game, you begin by setting up the stakes on a number or a range of numbers. The game is followed by the roulette ball which will spin, spin and spin again to land into one numbered pocket. And as usual, the number is the winner! Wins are awarded based on the pay table. Here is more about the bets on French Roulette by NetEnt. Bet Levels: French Roulette does not include Bet Levels. But, it allows you to stack the chips by clicking multiple times to increase the bets. 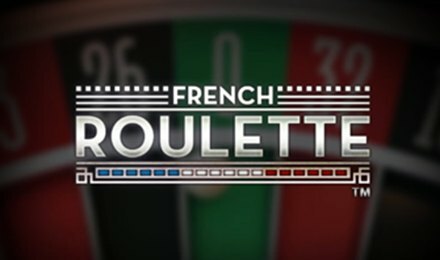 Amount of Paylines Selection: There are no Pay Lines on French Roulette since it is a table game. Coin Values: Want to set the bets according to your preferences? Select the chip value that you deem convenient from the pool of values. A minimum of 0.10 up to a maximum of 1000.00. If you want to target any specific range of numbers that are found on the Roulette Wheel, then you might use the Racetrack Option to ease up your betting options. Useful when you are trying to lay bets on numbers as they are ordered on the roulette wheel. This option displays all numbers that have won most of the times (Hot) and won least of the times (Cold). Similar to all other genre of Roulette games, you can encounter inside and outside betting options on French Roulette as well. Go ahead and choose between outside bets such as Odd or Even, Red or Black, Dozen, Column and Inside bets like Straight, Split, Three Line, Corner and Six Line. Who is ready for French Roulette? You? Good luck, fella!